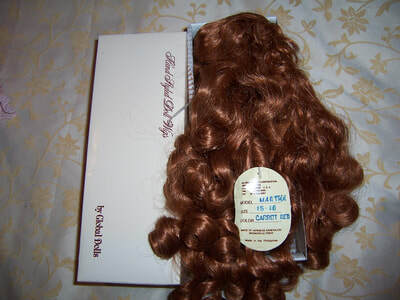 This wig is modelled on my bald headed 22'' Saucy Walker doll. 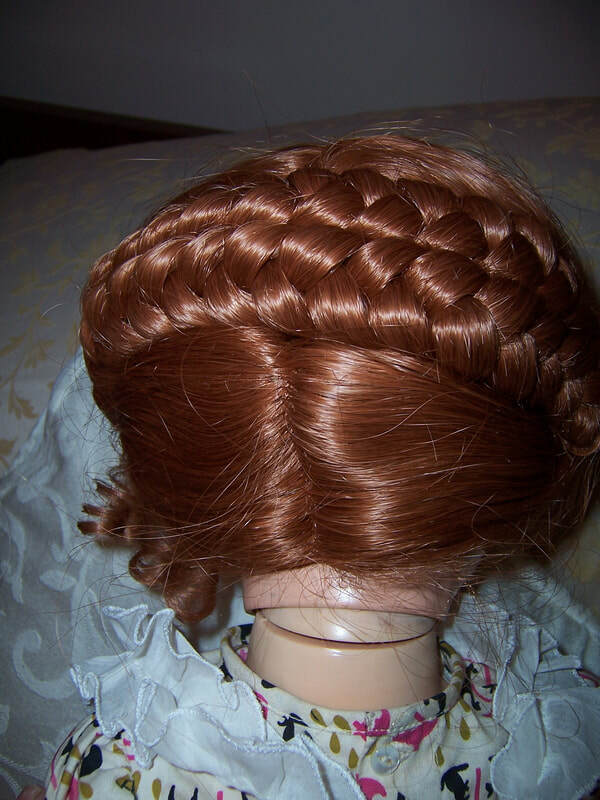 It is a pretty style with a braide along the back of the head and wispy curls on the side. 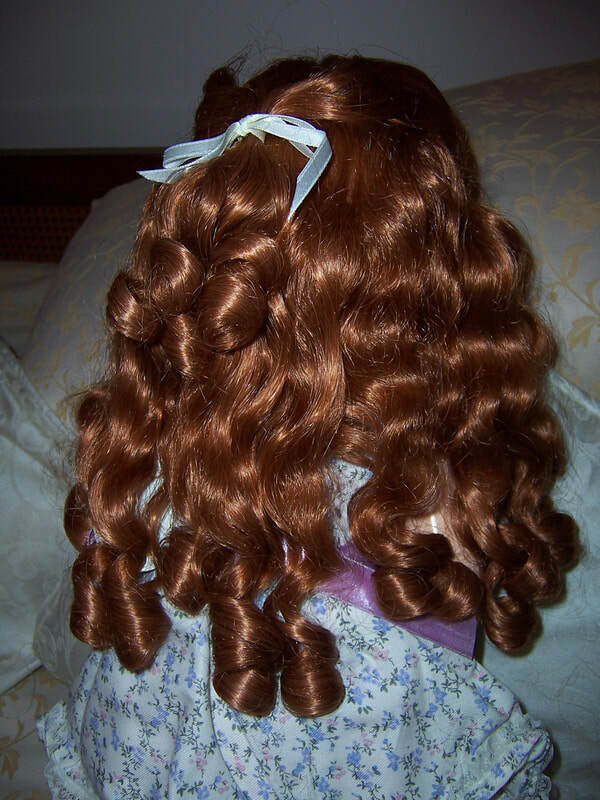 This wig is modelled by my 22'' Pedigree who has a glued on old wig underneath. 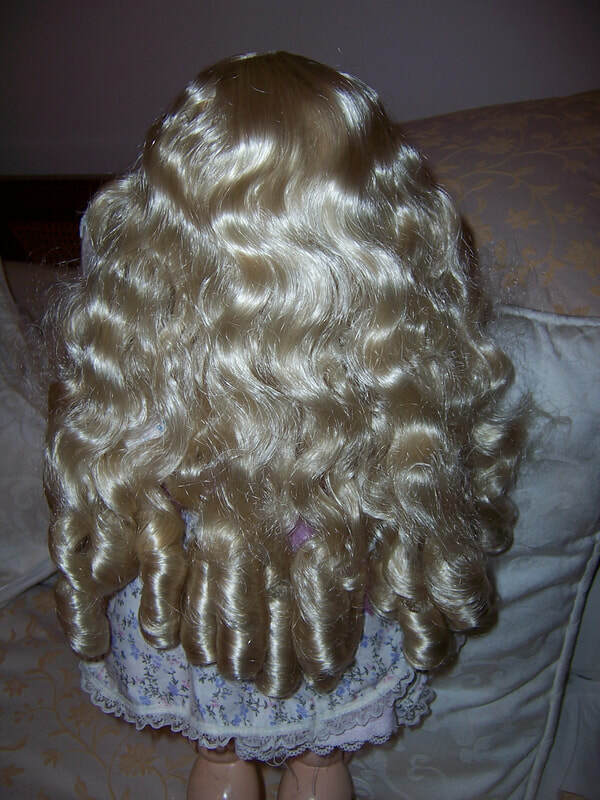 This wig is just lovely. 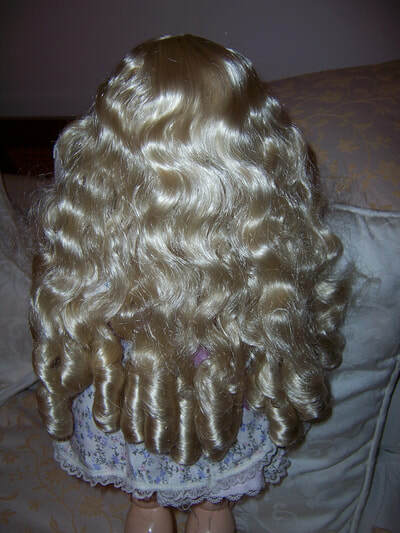 It is long with lots of curls, waves, and at the end of the hair are sausage curls. 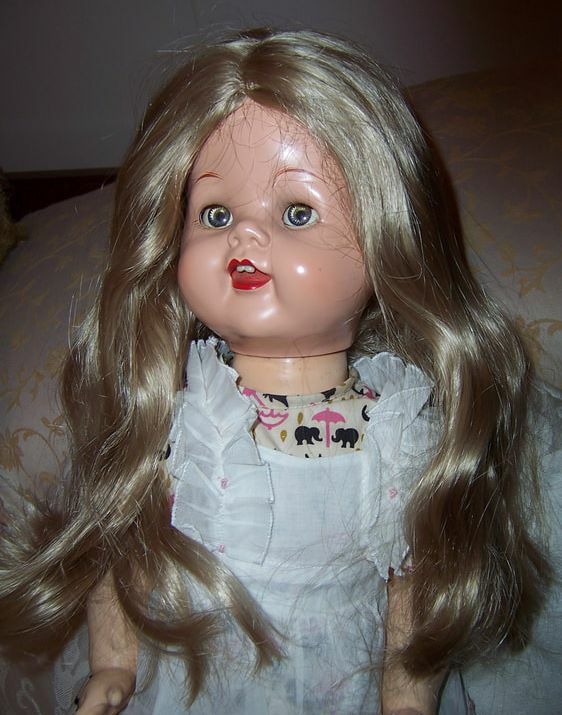 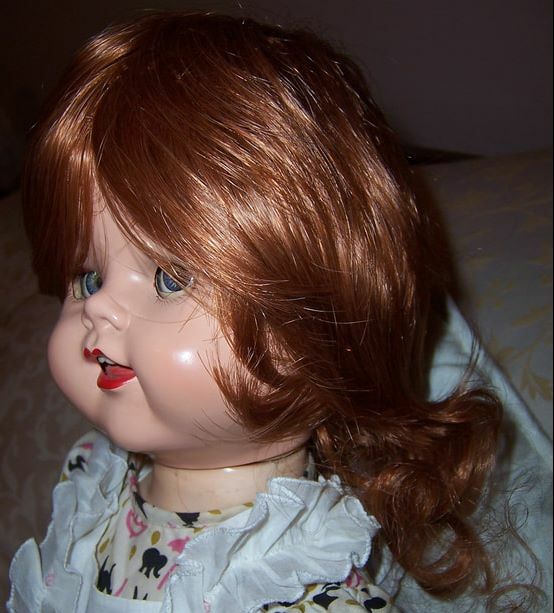 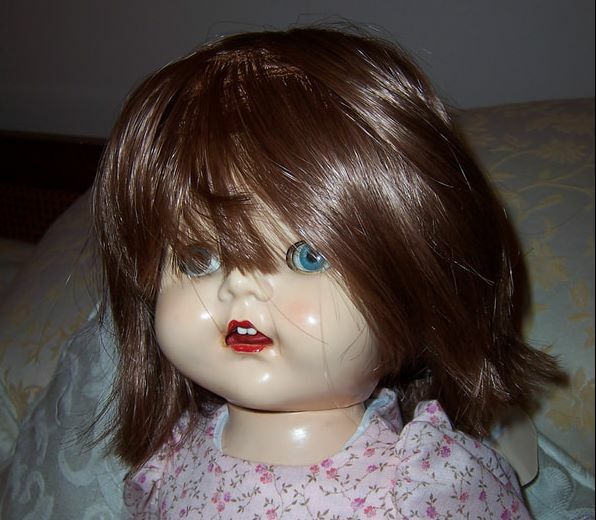 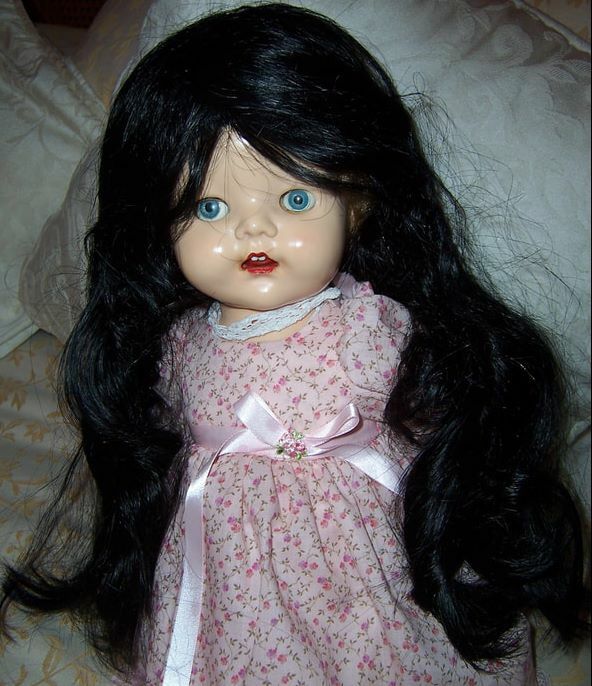 This wig is modelled on my 22'' Pedigree doll who has an existing old glued on wig underneath. 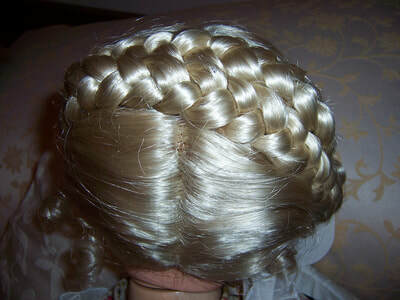 This is just so pretty. 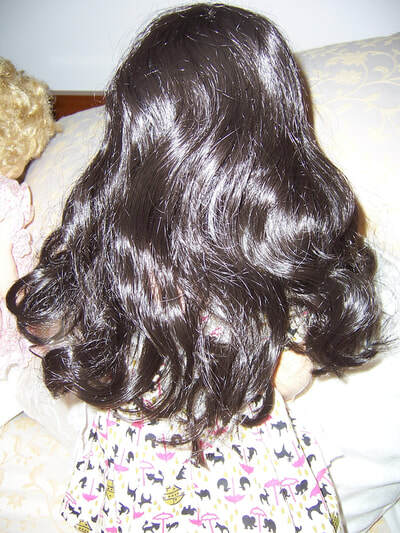 It is long with lots of curls. and a pulled back small pony tail at the back. 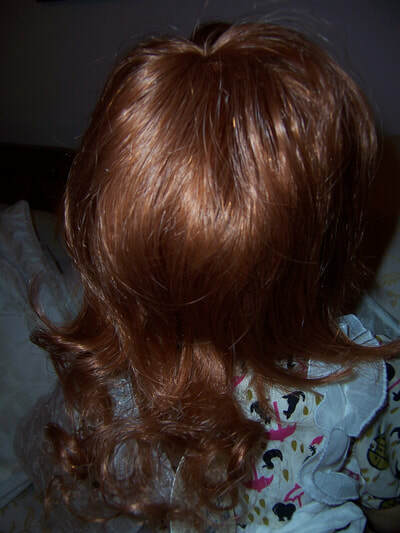 This wig is modelled on my bald head 22'' Saucy Walker doll. It is a long wig with a middle part and a hint of curl to the wig. 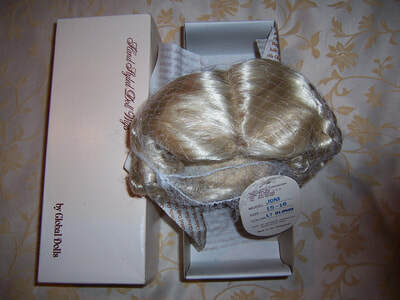 This wig is modelled on my 22'' bald headed Saucy Walker doll. The wig is a shorter style with a fringe and wispy curls at the bottom. 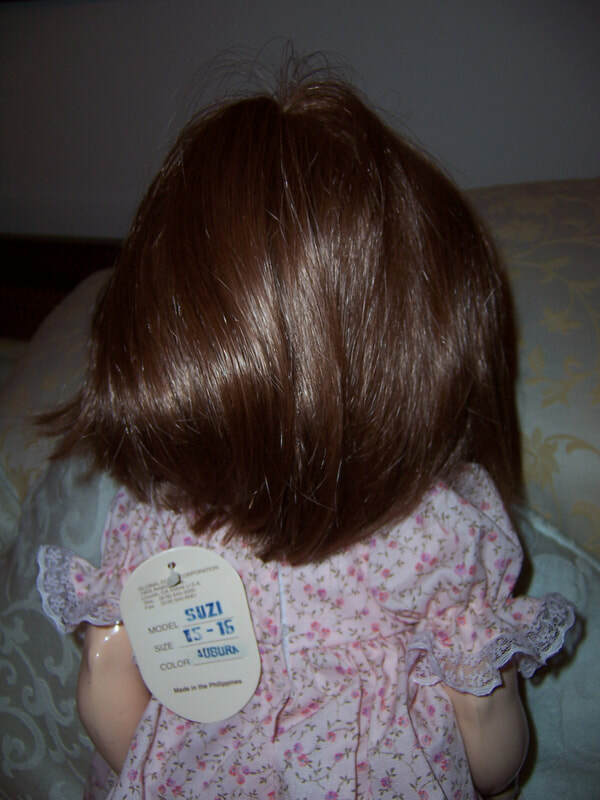 It is a shorter style with a fringe (which can be cut ) and straight hair. 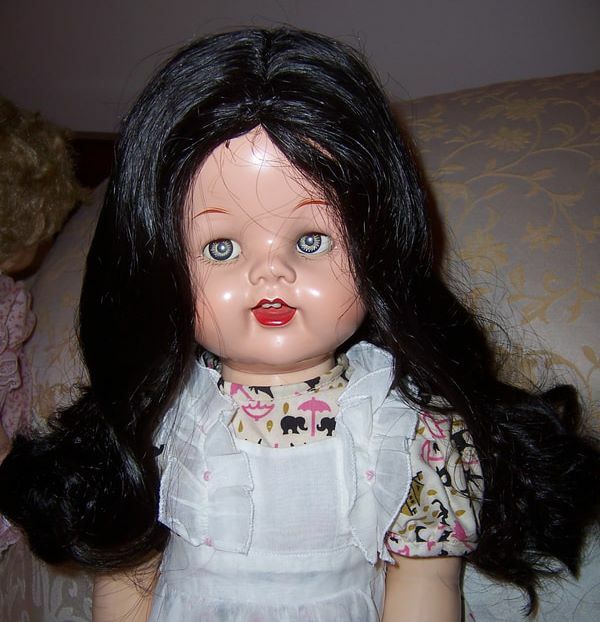 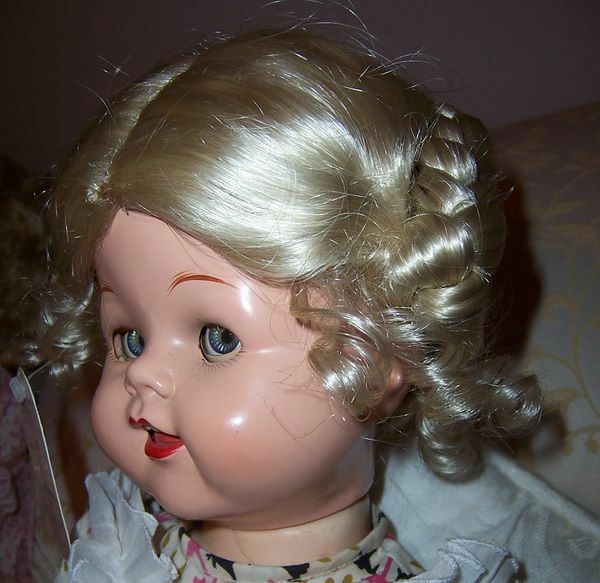 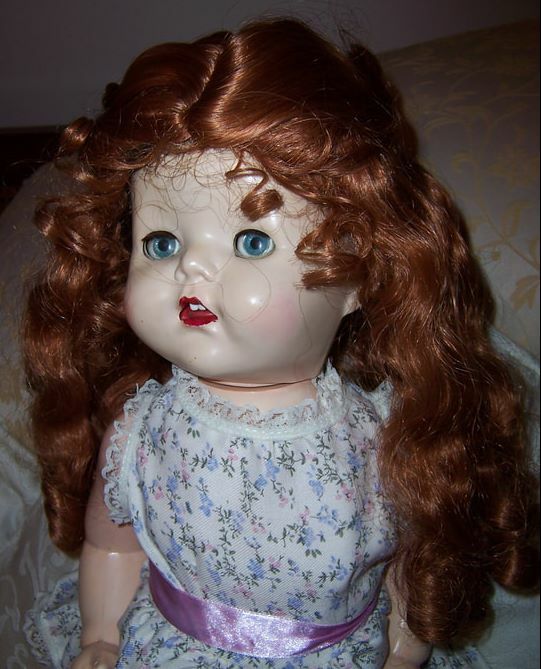 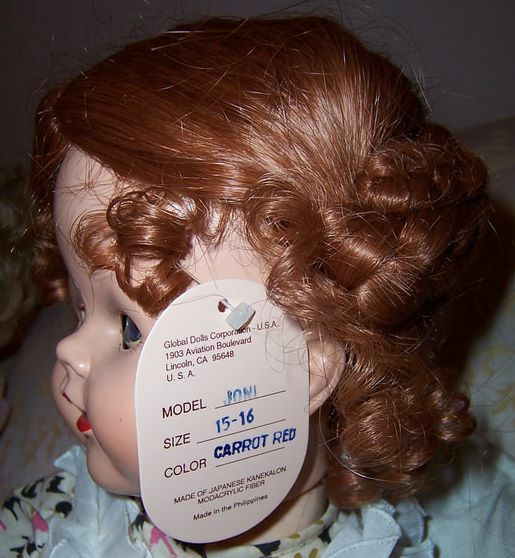 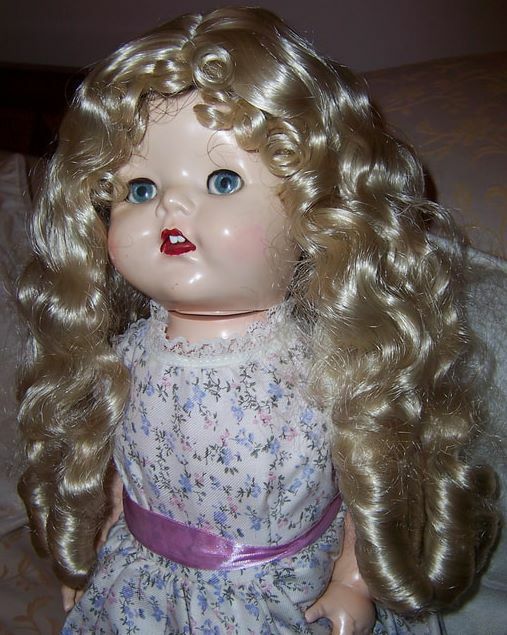 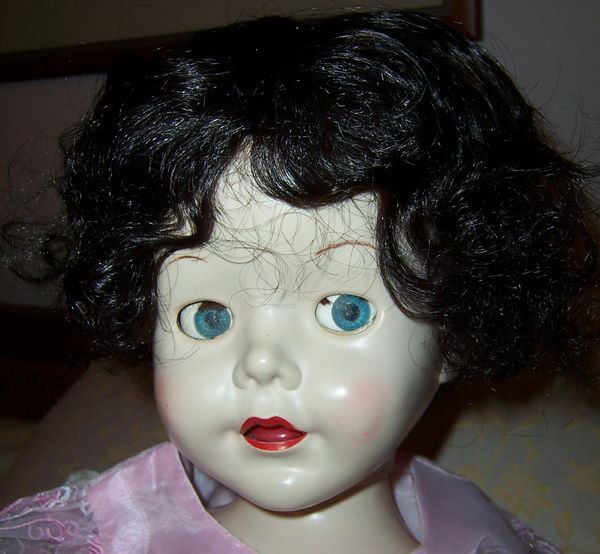 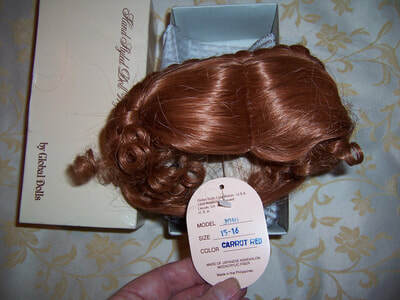 This wig is modelled on my 28'' bald Brighton Belle Pedigree doll. It is a short curly wig . 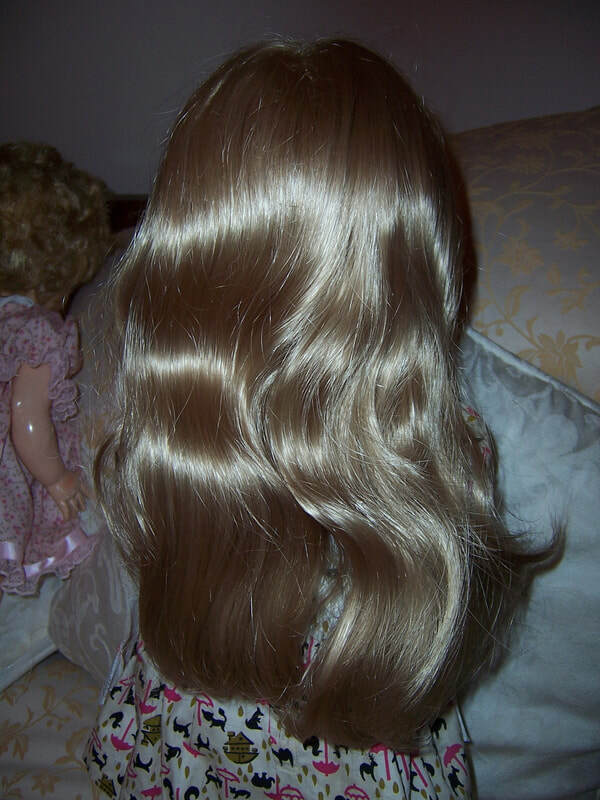 It is very long with a middle part, fringe and two long thin pig tails on each side of the head. 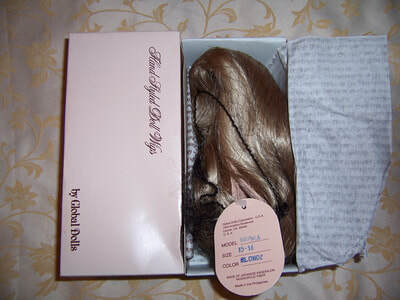 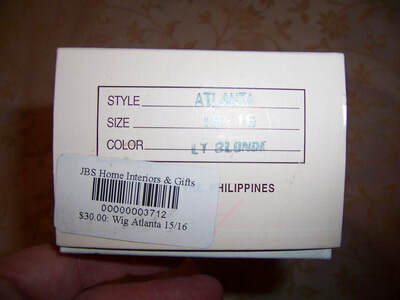 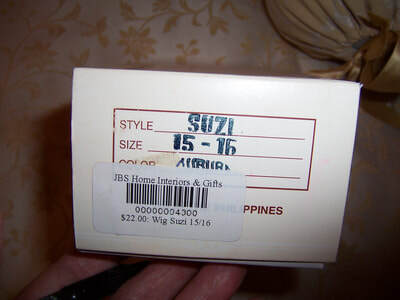 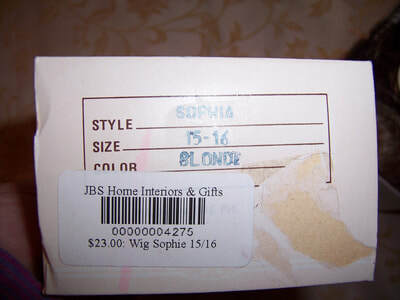 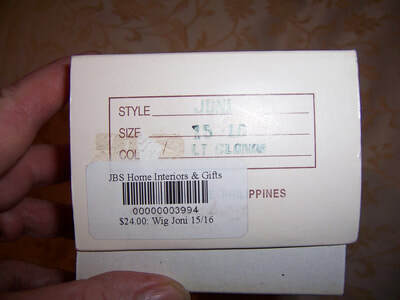 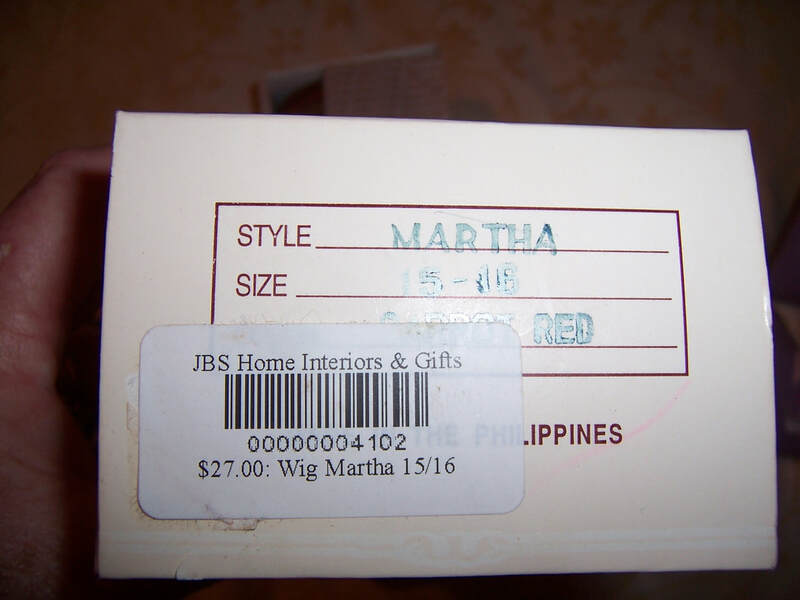 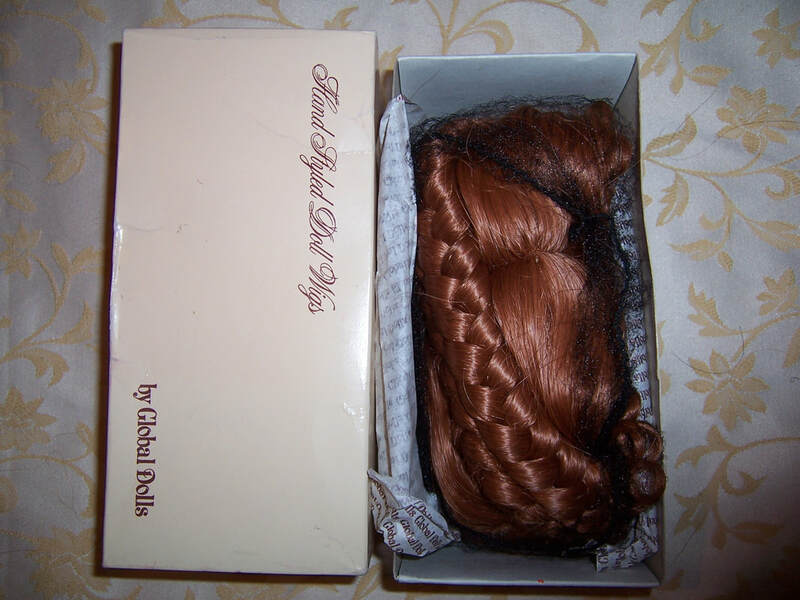 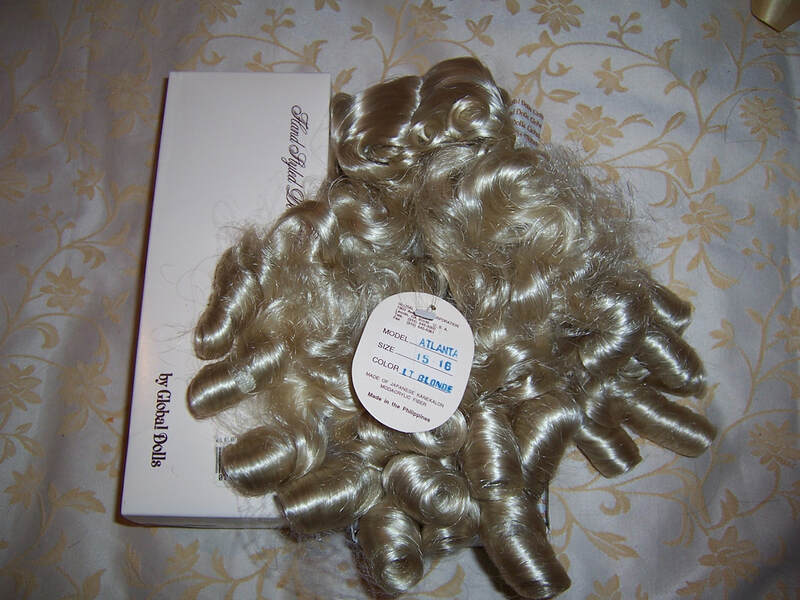 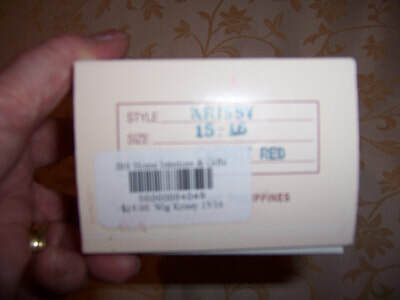 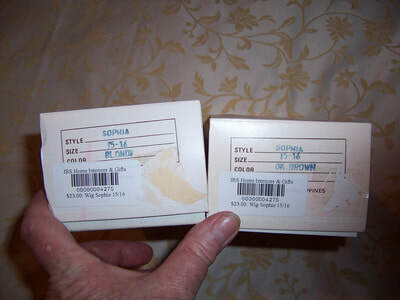 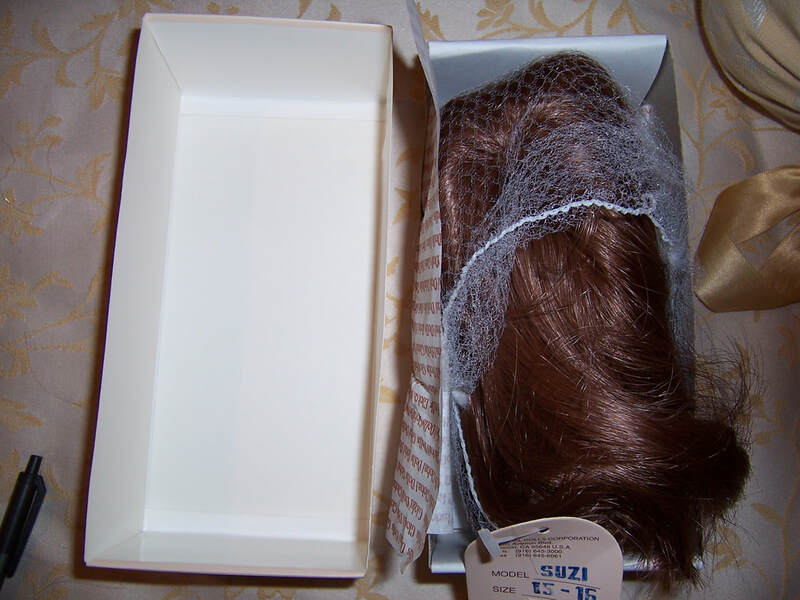 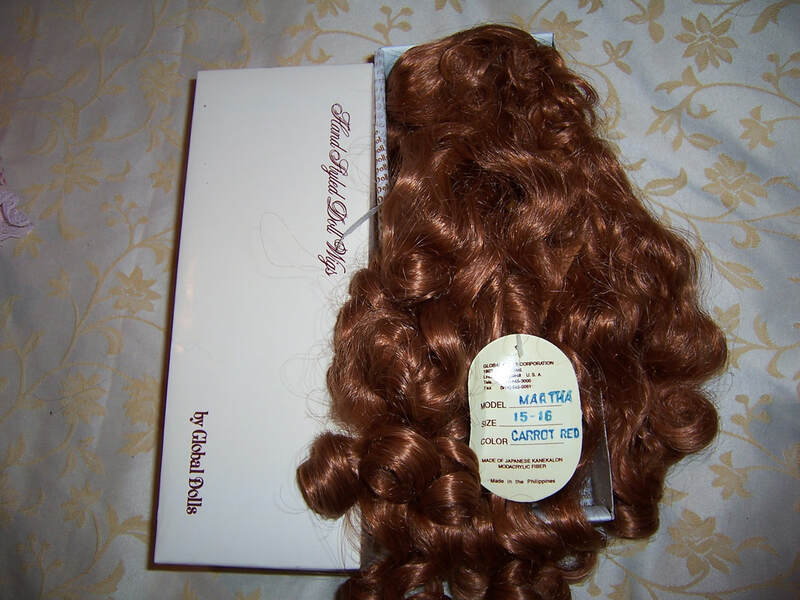 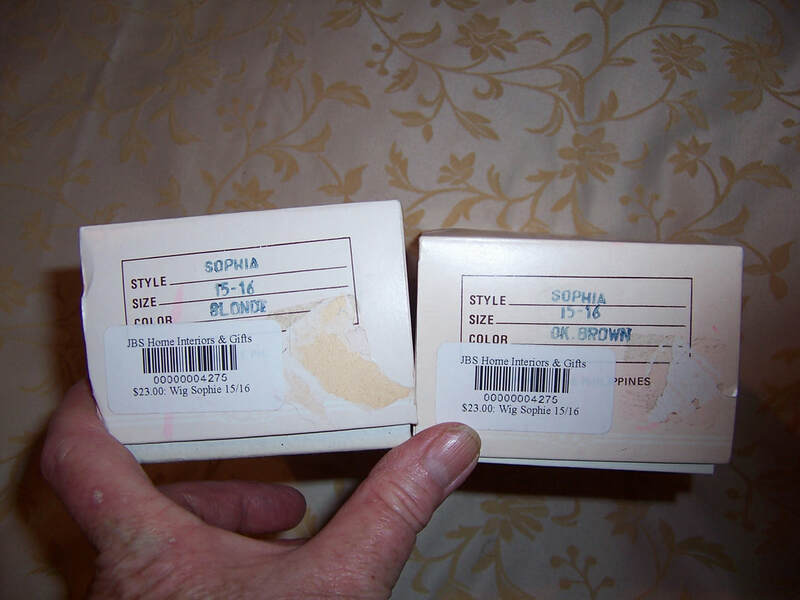 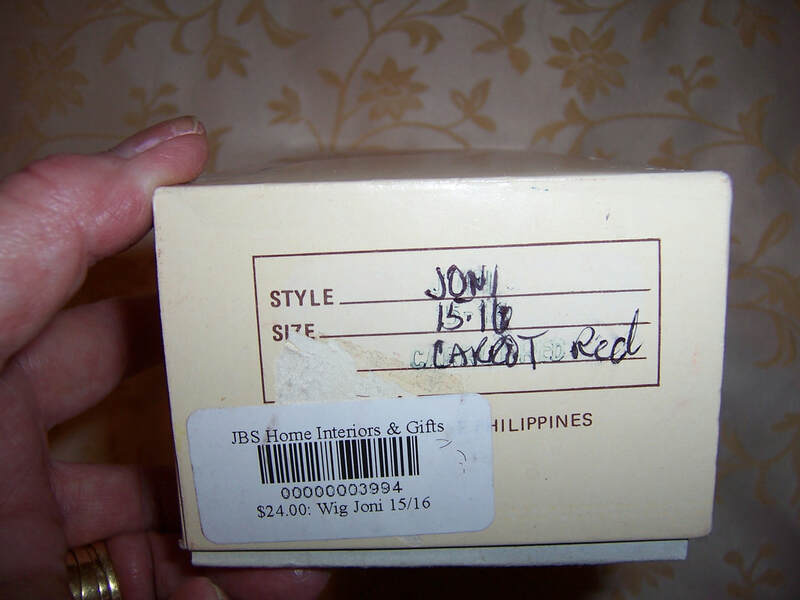 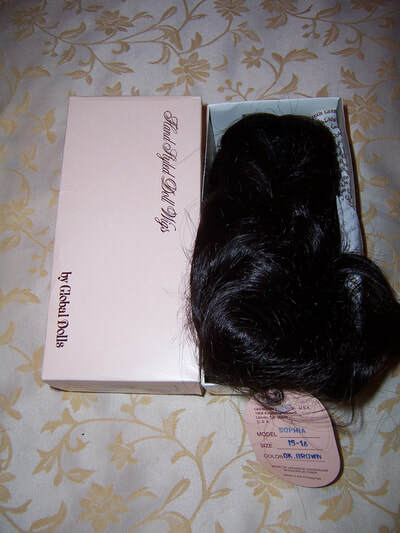 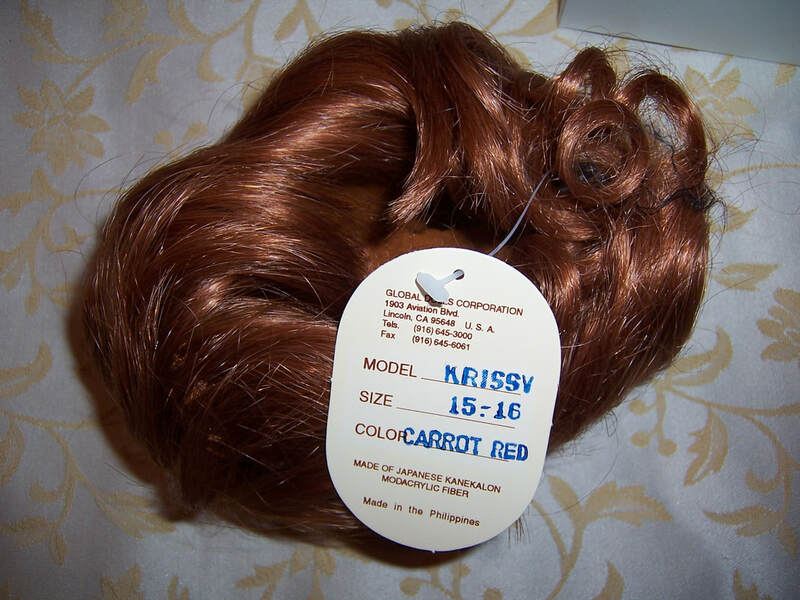 It is brand new but has been put into the wrong box.- the names on the box are not the names on the tag of the wig.